Makers of business intelligence (BI), data integrity, and integration software: WebFOCUS & iWay Software. Tens of thousands of customers, decades of experience. Work for Information Builders WebFOCUS? Learning about Information Builders WebFOCUS? I only use the InfoAssist platform to develop reporting solutions for my department. The latest release allows me to provide information and visualize the information in ways I could only dream of before. I love the new tools that have been introduced and they have taken my portal to the next level. The InfoAssist tool is consistently inconsistent at times. I can't always hit the enter key when setting up my filters using numbers or dates. Sometimes I have to hit the arrow key instead. I can't enter dates in my filters I have to pick them off the custom date list. My end users keep hitting the enter key to run the report off of parameters and that doesn't work. I love the level of support that Information Builders provides. They don't just sell you a product and walk away. They have partnered with us throughout our journey. The benefit I have realized is surfacing needed KPIs in the Underwriting Department in a way that is easily understood by managers and underwriters. The data is now leveraged in decision making. "The perfect fit for the Midsize!" We are not a large company and love that Information Builders created an option for us. It is affordable and still provides the core functions that we need. This is BI for us! If you are looking to get started quickly and easily I would consider WebFOCUS BUE. The best part of Webfocus BUE has been the scheduling and alerting! We are using this to automatically send reports, alerts, spreadsheets - to our users and customers. This all took user time before - now it is automatic. We are also using the data we are visualizing to drive change in our company - to help us better perform for our customers. "WebFOCUS BI and Analytics, The Greatest Environment to work with"
As a BI Administrator and Analyst, I like the most the very efficient, close, dedicated, responsive, fast support of IBI. We work with IBI people from Amsterdam and we have the best support we can get. We have very frequent contacts, user groups, summit, council and meeting. We also use focal point and the case management system. It's great and very professional. The way we work with IBI as a partner for our BI and the very confident and close relationship we have is amazing. The administration and configuration of the environment is not so easy and quite complex to understand. I recommend the IBI Website and online Support of IBI. We are trying to provide our users with fast, intuitive and easy Tools and Apps. "10 years of WebFOCUS usage"
I like the flexibility of the system the most. In 10 years of using it there has not been a situation where we could not solve it within WebFOCUS. Besides the UI there is a FOCUS language that you can use that saves a lot of time for developers. I have worked with different BI tools and the FOCUS language can reduce a one week job to a single day. The system is also easy to integrate with and into 3rd party products with Rest API. WebFOCUS has many different modules and some of them work a bit differently. For many people it's for example hard to understand the difference between making a report in the Business Intelligence Portal or on Reporting server. I've understood Information Builders is working on a single, responsive user interface which will solve this. Put good effort in setting up an architecture. There are many option in setting the system up, make sure you choose the best. Getting insight in customer behavior, discovering trends, measuring effect of marketing, helping our customers to grow. "Nice front end that is easily adaptable to many data course"
The title of my review says it all really. Creating content is a snap although one can get bogged down in complex data retrievals although the language is derived from SQL (Focus is a 4GL adapted from SQL). The beauty of Focus is the adaptability to just about any data source. Although you can create based reports in a snap, it takes a bit of a learning curve to master more useful queries. It would be nice to have more drag-drop/point-click capability. This is a great tool for your business groups with people that know the data best, but to get more advanced some training (which IBI offers abundantly) will be required. Data collection; farming statistics regarding a call center. However, I was a Focus user for at least 10 years and used it in a variety of settings, from basic reporting to front-ends where you could input data and retrieve results. The tool itself has a lot of features to it including the ability in newer version which we don't use now to integrate d3 graph functionality into your reports. The BI Portal is a very nice interface that allow users to navigate pretty easy and security to be controlled. The yearly user conference is very nice as they work to listen to how users are using the application and help individually. There have been features in prior editions including what were on now that should have been enabled on the system but when we went to use them, they didn't work and we had to submit a case to find out it wasn't working in that version. We are using this for a wide variety of topics for various users. This is including management style dashboards to excel bases report that are distributed via an automated tool. The ease of pulling reports together, showing those reports and allowing other users to interact with the results. Take the leap! It combines the best of other Platforms and makes the product feel like its your own. We now have one place to make edits and changes we can then turn out to a myriad of users, without having to edit each user's information individually. Unique language, creates some difficulty in finding resolutions to issues when not able to find out in focal point. But many resources are offered beyong to improve knowledge via0 summit and classes. The tool is very intuitive, powerful and innovative - and the customer service and support, and resources are fantastic. The product was demo'd with "clean" easy data that could be used to build great things using the GUI. We came to learn that with "messy" data, or more complex scenarios, doing things with the GUI are sometimes not possible. Tool is harder to learn than we thought initially it would be. ***Also, no way to easily print from a portal. Big need for us to be able to do that! Take advantage of the consulting services to help you get started. To date - customer facing dashboards and portals. We will also be using it to automate existing reports and create better operational dashboards. "A Mature Full-stack BI Solution"
I like that the IBI solution provides a full stack of integrated solutions that provide flexibility while integrating well together. There is limited need to search the market for component-based elements to build up a solution. Despite every solution provider saying they can "connect to anything," experience demonstrates there are always integration challenges. IBI's integrated set of solution, providing high quality stable solutions, minimizes how often an external tool or package may need to be sourced. The IBI tools are evolving, but competitors are pushing the envelop substantially and thus demonstrating solutions to business that appear more intuitive or responsive that the IBI tools. However, the stability of the IBI tools is paramount and enabling backwards compatibility as much as possible is important, so I appreciate it is an incremental process for IBI to continue to transform their solutions for further functional abilities. Engage in reference calls: I have found other IBI consumers to be open and honest in their successes and challenges. Making BI & Analytics pervasive within our organization, we have substantially augmented the data available to the business, we have transformed the visualization of that data to make it more consumable and substantially improved the governance of the entire environment. "Hands down the best BI product I have worked with!" I love the usability of the product. When I was first introduced to WebFOCUS I was able to get up and running developing reports with no training. Because of my reporting and database background, I was able to start working with the product very quickly. I have been fortunate enough to have won a few awards for our initial work using the product and am in the process of upgrading our BI platform to WebFOCUS. I do dislike some of the challenges with working with date functions within the language. It is not as easy as I would like it, but I have been able to overcome those by using functions within SQL views and queries which I have a stronger base in. Best Customer Service in the business! We are currently moving our internal performance dashboards for SLA management into WebFOCUS. We have also been largely doing crime analysis and reporting using the product preciously. We are currently very interested in the potential for Voice-Based Analytics which are coming in the near future. "A solution for small and large businesses alike"
Among the top of the list of best features is the ease of use. More often than not you do not have to dig very deep in the layers of the application or configuration in order to make changes. In the circumstance that you do have to revert to referencing a manual or user guide, they are intuitively written and designed to get you to the section to service your request as quickly as possible. While it is often a blessing it can also be a curse, and that is the frequency of some updates. The client, which is used by global customers, often is in constant need of attention by IBI to ensure they are meeting everyone's business needs. While that is not a bad thing, there is something frustration in waiting for a fix or feature that's coming in a prior release that is still months away. Much of what is improved or has been solved by using WebFOCUS is automation of manual reporting processes. What used to take days or even weeks to produce, can typically be done now with a few clicks and a little understanding of your data and business logic. We have realized that the sky is the limit with these products and our processes should only improve in years to come. Information Builders is constantly evolving their products as well as developing new tools. We are always looking to be early adopters in picking up new products and technologies to better our processes and business as well as to provide valuable feedback to IBI that will continue to help them create and improve these products. "A platform that keeps getting better." The FOCUS language coupled with front end web technologies has enabled us to build reporting solutions very quickly, as well as abstract the technical complexities away from our analysts and business users. The product is in a constant beta whether it is a GA release or actually denoted as a beta. There has always been bugs I've had to work around. This can be a great product to use for your BI needs. It's definitely a work in progress while they revamp the product for mobile first, responsive business solutions. They've made big strides with this already and continue to showcase their efforts in a pleasing manner to those of us familiar with how it needs to work as a platform. We have been able to fulfill business needs and desires for many of our business units that have surpassed what they had to work with before to accomplish their work requirements. "Extremely Versatile and User-Friendly Analytics Tools"
We use this software for a majority of our VOIP call reporting needs. Our organization handles approximately 2 million calls a month and WebFOCUS allows us to report call activity through a centralized dashboard to the entire organization. Employees can also perform their own Self-Service Analytics through this portal, which empowers them to make changes appropriate if the results are less than ideal. "WebFOCUS has been a tremendous help to get the information "
The ability to control reporting by using code or the GUI interface. You can query the Report Repository to get valuable information for creating a custom Report Repository and Data Dictionary. You have the ability to create your own data level security and utilize it as needed, without being limited to what is required by the product itself. I also like the ease of use of being able to create the schema you report against by simply clicking on the schema of the SQL table and having WebFOCUS create its own schema (synonym). It simplifies and speeds up reporting tremendously. There are periodic bugs that we have worked around. One other problem is the vagueness of certain error messages that occur. This vagueness often causes new developers to become frustrated until they have gained the experience to understand exactly what is going on. We also have a problem with the timeliness of new releases. We have been waiting over nine months for the 8.2 version which we were told would be available early to mid 2016. We are solving a great deal of problems throughout the organization by putting the ability to view dashboards and reports as a self-service tool and then having the ability for the user to drill down to see outliers or problems along with all the details that comprise the metric. We are using it for Departmental P&L's, Income and Balance Sheet reporting for the organization, AR Analysis and trending, Clinical Effectiveness, Lab and Radiology reporting, just to name a few. We have 59 portals available to address the operational reporting needs of the organization. We are currently reporting against over 1,000 tables or data marts with over 300 users accessing our system.. Sometimes the graphic libraries used are a little bit old. We have a vast data centre with all the platforms you can imagine, so we have a bunch of tools to analize performance and resource utilisation and each one of has its own repository. With WebFocus and netezza we have create a big repository where to take all data coming from different tools and develop different portals to generate reports/graphics to analyze those data. So from a single point we can see all of our platforms and drill down up tp process level details. WebFOCUS is a great reporting tool. It has a intuit GUI for beginners to produce useful reports. The IDE for developers is full-featured. The underlying FOCUS language is powerful and capable of creating any application. I use it for most of my application development. The generated launch page HTML code breaks if edited. They are getting better at letting you customize the HTML, but you have to be careful. Give it a try. They don't advertise much, but they are really good. I currently create finance and accounting tracking tools - portals, launch pages and reports. I have used WebFOCUS for myriad scientific and engineering applications. Information Builders has a very strong platform that covers the entire suite of BI and Analytics needs. Typically, one has to integrate a number of disparate best-in-class products from within the industry to deliver a robust end-to-end solution. With Information Builders, since their individual solutions are very high quality and easy to plug-in, I simply add-in the required product as needed. Sometimes their enterprise licensing is a bit expensive to add on a new product needed for only a few users. I do see Information Builders now working towards resolving the pricing challenge on several of their new products. Have a strategy prior to buying any industry products, as IBI value is highest with a full platform solution. Many, from basic quality reporting to self-service enterprise analytics. Amerisure continues to gain valuable insight from their data to drive accuracy and facts-based decision making. "BI software for all your needs, big or small"
InfoAssit+ visualizations are some of the best in the market, but whats great is how quickly new features get added into the product. I would like to see the UI work more like a cell phone with less confirmation clicks, I want the visuals to reach to every click. Review the entire portfolio. 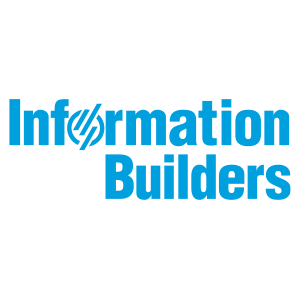 Information Builders has a full suite of BI products. We have been able to visualize and create reporting for almost all aspects of our business. In sales, we have been able to push visualizations to our entire sales team to keep them updated on their sales and targets. "Great Product! So much we have done benefiting our business, and so much more it can still do." Can do just about anything we need for reporting, a lot of uses, very useful Info Assist plus application for our analytic users to develop their own reporting. A little more pricey than some others, but you get what you pay for. Customization of reporting portal domains for different business units. Dash boarding, KPI scorecarding, alert reporting/monitoring, financial statements, enabled centralized and efficient metric information available to report creators and consumers getting them out of manual/inaccurate labor intensive reporting processes thru Excel and Access tools. Created one source of truth for reporting metrics. We use Web Focus to manipulate our financial performance data, we like how it scales as we add more clients onto our system. I dislike the the fact that there has been no way to centrally monitor the performance of our Web Focus farm, but that appears to have been resolved with the new Performance Usage Monitor that is now available. We highly recommend Web Focus, they have worked very closely with our company to achieve the solutions that we sell to our clients. We have been using IBI products since 1991, the support staff has been really great resolving all of our technical issues. Right now they are working on getting our application to work on the new 82 version. Information Builders is an incredible vendor to partner with. Their business intelligence offerings such as WebFOCUS, BI Portal, and their iWay suite of products provide all of the necessary components needed to build a successful BI culture within your company. Speaking of successful, IBI ensures that what they sell you works and is exactly the product that you need, not just something that you might want. Their staff is very careful not to push products that won't be beneficial to you. There are frequent touch points by the reps, but more in a relationship way than to look for the next sell. It is still a little disappointing that Information Builders isn't a common name in the BI field due to their robust platform as well as the amazing support you get. Prior to WebFOCUS 8 IBI was lagging in the innovation area, but now is very much a contender and should be at the top of the list for any shop looking to select a BI vendor and platform. Purchasing a long term platform requires not just a high performing product but also a close partnership with the vendor consisting of trust and integrity. Information Builders will give you that. They look out for your best interest and not just the continuation of their product line. They are constantly pursuing innovations in the BI field as well as honing what are currently the standards seen in competitor tools. Over the past 8 years we have been building a culture of knowing and understanding our data and how we can use it better. Utilizing WebFOCUS we have been fairly easily been able to successfully span the breadth of use from embedded analytics in the hands of end uses to the deep dive of analysts looking to improve processes, profitability, and productivity. "Very deep platform that is making great strides recently"
The product platform is very deep and there has been no problem that our team could not solve. We have had many business critical analytics developed that have made a real difference in our business. The self-service capabilities for non-IT users has been difficult to use and not intuitive in past version. The new versions of the products have made great strides and huge improvements in this area. The latest versions of the product have made great strides in usability and functionality based on early preview beta versions. We have many dozens of enterprise BI dashboards and reports that offer instant views into our operations and backoffice metrics that are used by all internal areas of our company. "WebFOCUS developer since inception "
It's flexibility in writing simple reports to developing full blown applications. The ability to combine completely different data sets seemlessly. I cannot think of anything at the moment that I dislike about the product. The thing I didn't like have been addressed in its latest version. It is more than just a report writer. It is the MacGyver of reporting tools. If you can think of it, you can do it with WebFocus. Our users requests. Users are always in need of some complex reports which they are unable to do themselves. Portals are now a big hit which frees them up to do more analysis than information gathering. I like that the tool allows for quick building of portals and dashboards without regard for platform or platforms. Their customer service is deteriorating. Their paid premium customers do not get any more service than the basic service now. They are not standing by their commitment on this end. "Information Buliders WebFocus the leader in BI"
It is an enterprise tool. It has good Visualization, Self-Service Analytics, Operational BI, Predictive, and Data Integration. It's one stop shop for all your BI and Datawarehousing need. More than that you can integrate any visuals in to it easily with the new version (8201). Still they are not in top of the Gartner chart. You need to use right expert to implement the WebFocus BI and Analytics. Any product will fail if the implementation consultant doesn't know how to do it right. We provide BI analytics and Self-Service reports to clients. Integrations of other technology in to WebFocus. Mainly the UI components to give rich look on their portal. "Great at analytics and business process automation"
This product goes beyond what the competition offers because it allows business processes to be automated and new data to be captured, augmenting data from exterior sources. There is a learning curve that is harder than some of the competitors. However, the complexity also translates into a better capability to create industry leading analytic functionality. We support clients that are using the solution for financial analytics as well as business process analytics. The ability to use the WebFocus scripting language and Metadata. Since everything is a text file, it plays easily with all tools I use from text editors to source code versioning systems. I love that I can connect and combine data from multiple data sources of nearly any technology on the market. It's ability to generate output in PDF, Excel and different data formats makes it very flexible. The same language can be used to generate output and be used for ETL scripting. Managed Reporting. I prefer self service. Managed reporting eliminates much of the benefits because it's framework is too tight. I've spent most of my career working with WebFocus. I've never seen a problem I could not solve using the product. My developers like the tool because it is easy to use and provides a wide range of features that can be used to create robust infoapps and dashboards. The tool requires a developer to make changes to the infoapps. Self-service is limited to what is already pre-defined in the infoapp. If a user wants additional data it has to be added by a developer. Speak with other healthcare customers to see how they are using the tool. Make sure it will meet your needed for your clinical users. Finance users are relatively easy to support but out clinical users are often looking for additional data. We provide financial and clinical reporting for our health system. Our financial users are very happy with the data provided. The clinical users are less enthusiastic. "Flexible, Highly Usable Product that allows you to create BI Applications"
Version naming, find the product lines confusing. Should be versioned like WF8, WF9, WF10. Very strong competitor considering the release of the new 8.2 product. Becoming an easier to use web based tool that allows for ad-hoc reporting, visualizations and scheduled email distributed jobs. Self-Service BI is huge for us, we're trying to find ways to accomplish this with different methods of WebFocus tools. "Will be game changer for BI and Analytics program"
Breadth of the product. Handles mobile, dashboards, report delivery, adhoc analysis, etc. Make sure you understand the Admin requirement - security setup, change management process, tuning. Also, investigate what you can do with the GUI tools as opposed to coding. Created an executive dashboard so that we can quickly communicate KPIs to the Exec team. Automated a Price Volume Mix Analytic tool so that we can quickly assess results (revenue, profit) and root-cause business challenges. This tool also addresses budget and forecast. The interface is much easier to work with than other BI programs that I have worked with in the past. It is much easier to create a connection than others as well. No frills. I would like to see more of a selection of web presentation tools. It would be nice to see more dashboards even though there are a lot available. Even though we failed to go-live with WebFocus, I think that it was the easiest product that we tested to implement. I feel that it would have been nice to have gone with this product over others. "BI in an Enterprise Environment"
Ultra flexible BI and application framework, that can connect disparate data sources together in larger mixed environmets to support business needs. Some issues with large version upgrades in our very large (5+ TB) Environment. We primarily use WebFOCUS as a primary enterprise reporting solution, but it serves also a deployment platform for infoapps that our teams build. "Provides ability to program anything, with typical IT turnover, results in programming mess"
You can program every aspect of a report - everything can be a variable. Every line of code has possibility to controlled by this FOC_NONE keyword which can result in some clever navigation or report manipulation. The IBI summit and Focal Point are true strengths. The Focal Point community is very helpful, lots of expertise there and generous with their wisdom and tips n tricks. Based on experience with WebFocus Developer Studio, it has a horrible IDE. No syntax checking, code highlighting. Poor integration with code control systems for versioning. Often found myself overwriting my own report or someone else's since it has no lock mechanism. Essentially you have something that is just using notepad. For some people they think this is great, just give me notepad. Which is fine is you are the only programmer, once you get into a collaborative setting, the infrastructure fails to support compared to other vendors. The sales and consulting service is average or below. A lot of disgruntled customers out there. In my last company, people dreaded getting assigned work that dealt with WebFocus programming. Have strong guidelines for programming standards and organized programming structures. An experienced technical lead or architect who can deep dive into the product offerings if this is truly the path you choose. You will need outside tools or systems for code control or change management. You can do anything with the WebFocus programming, so great power comes great responsibility. Engage the Focal Point community, it is fantastic, can be a much better source of knowledge than the company's consultants. Be careful with the setup, have discipline to document and understand the infrastructure. WebFOCUS provides a great platform to deploy analytics to our customer base in a multi-tenant fashion. We're able to use the same instance of WebFOCUS to provide a consistent platform for customers to gain insights into their business. I'm looking forward to WebFOCUS' new UX, which was very exciting to see at Summit. WebFOCUS has allowed us to develop pre-packaged analytics that add value to our customers, gaining immediate views into all areas of their business. "WebFocus is a nice tool set with many possibilities"
The ability to connect to many different sources. The Infoassist and Quickdata tools help our users a lot to get their data. Some of the tools are dated compared to the industry. Portal and data discovery lag key players in the market. WebFocus is a good toolset that allows you to do a lot of reporting. The outlook with their upcoming enhancements look like they going in the right direction. Before WebFocus we had a number of out dated reporting systems each reporting different numbers. We were able take multiple reporting systems previously and combined them into a single platform. This has given our users consistency across the organization. "First time learning IB WebFOCUS!" What I liked best were the seminars and labs, they are very informative and inquisitive to learn. After coming here I now understand BI capabilities and the robustness of BI. more sessions on predictive analytics. We are focusing on gathering business requirements and predictive analytics. The benefits that I have gained from the seminars are UX integration and brain storming sessions. "WebFOCUS review from Michigan State Police"
The CUSTOMER SERVICE is what sells for this company. Innovation is next! They are not located in Michigan, move a sub-office to Michigan. Michigan State Police in interested in being the innovative leader in Law Enforcement technology. From prospective customers through premier status - Information Builders provides service to meet the needs, answer questions, provide solutions, recommendations, and service. Metrics, data discovery, data performance, data integration, reporting consistency, etc!!! We love the flexibility, scalbility and ease of use of WebFOCUS. As a programmer, I enjoy that I can use quite a few languages I already know, to interface with the product. IB's customer service is second to none! To be honest, there isn't much I don't like. IB's commitment to excellence, customer service and moving the ball forward are amazing and they truly want to be your partner in success. We struggled with large Delivery products to clients, and webFOCUS gave us the ability to deliver one template for 100's of clients and we were able to leverage the DB metadata to create stellar analytics. "A Superior BI Solution That Appeals to All Areas of a Corporation"
HTML Composer's GUI seems to have some issues, particularly with the parameters and if they are loading XML. This is a great tool. Remember to devise a user acceptance strategy so that the user base is not intimidated by the new technology. We have created dashboards and have changed the culture of our company from a "push" based mentality to a "pull" based. I have been able to resolve a couple of issues from the Expert Room. We are also moving to 8.2.01m and am learning about the updates. "IBI is the Data Plaform"
We like the ability that IBI allows us to add to the business value of our organization. there is no single company that can compare to IBI. The ability to take data from all applicaitions current and future. We also use it for m&a strategy protocol. We have solved the legacy IT bottle neck with data requirements and data consumption. Information Builder's WebFOCUS is secure first and foremost. The customer service we receive is outstanding. There is nothing that I can think of that I dislike when using WebFOCUS. HR/employee relations, time and attendance reports, Data information, Customers problems. WebFOCUS has been a great time saver for us. I don't have any dislikes at the moment. Ability to combine multiple datasources such as Excel, MS SQL and Oracle in one report. Graphics, reporting and the data integration. It seems to be very difficult to code the business logic int he online portal. Customer ability to provide quick updates to the system using different technologies.... ie... laptop, tablet, smartphone. "BI Analyst needing a good solution"
Easily query from multiple SQL Servers. Product seems buggy. It feels like they push out a product before sufficient bug testing/resolving is done. My company paid for your product, I don't want to be the tester. "It has been quite an experience"
All the Information Builders lab sessions and customer spotlights. Great summit. Not much to dislike. Need a longer summit and more sessions and labs. All the things I have learnt so far at the summit I can take back to work and use it right away. The tool has a great community and meet up, people are very willing to help each other and share ideas as well as code. Something very interesting concepts can be done if you have playful enough and have the time and patience. Tools look and feel is a bit out outdated as compared to the other light weight software out in the market. Customer support really depends on who you get. Definitely not plug and play and not for you typically analyst. Look at your lightweight competitors such as looker and tableau. You really need to make the visualizations more appealing. While this does not affect the quality of the product it does hinder selling it the end users and upper management. We are trying to get exposure to the data and peak intellectual curiosity by using data visualizations and dash-boarding. Benefits we realized was the simpleness of the integration and design for developers but not analyst. Customer support. Anytime there has been an issue IBI is there to support every step of the way. The only dislike is how many bells and whistles there seem to be at times. Kind of over whelming. * We monitor all Information Builders WebFOCUS reviews to prevent fraudulent reviews and keep review quality high. We do not post reviews by company employees or direct competitors. Validated reviews require the user to submit a screenshot of the product containing their user ID, in order to verify a user is an actual user of the product. Hi there! Are you looking to implement a solution like Information Builders WebFOCUS?